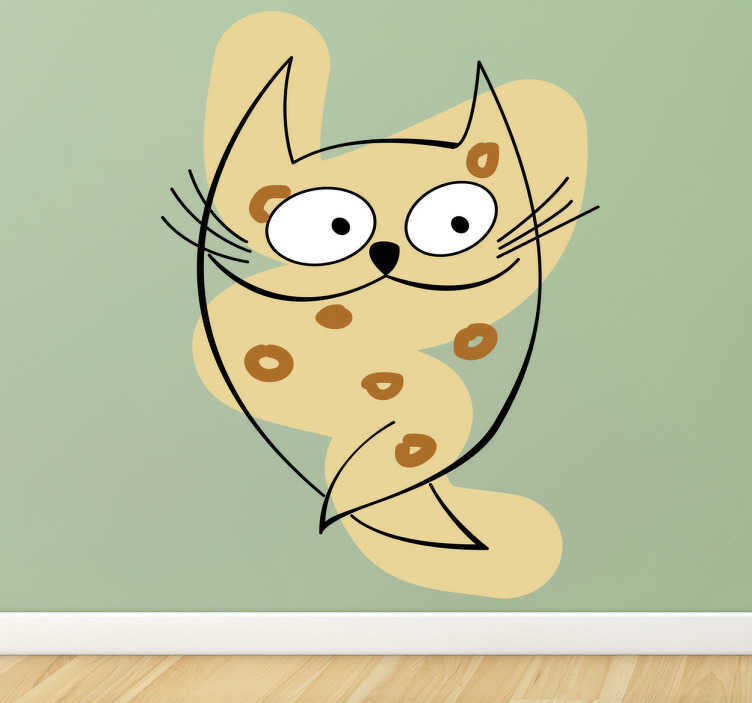 Kids Wall Stickers - Original abstract design of a cat against a stroke and brown circles. Great for animal lovers. Ideal for decorating areas for kids; bedrooms, nurseries and play areas. Available in various sizes.